Tang Soo Do is widely recognized as the authentic martial art of Korea. 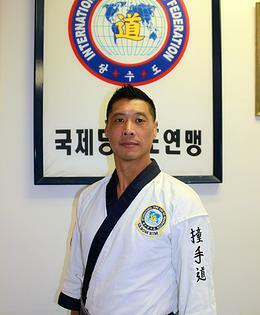 It’s philosophies and technical aspects are derived primarily from Korean teachings and wisdom, but it is the blending of eastern philosophies which has led Tang Soo Do to be recognized as one of the foremost authentic martial art styles.In today’s modern society, people are looking for ways to improve the quality of life. Doctors, professors and many other professionals in stressful occupations find relief in the structured Tang Soo Do training program. For most, it provides a physical fitness regimen that improves health and self-image. Many parents bring their children to tang soo do because of the structured, disciplined atmosphere and the lessons learned regarding respect and self-control. As soon as you begin to train in the authentic martial art of Tang Soo Do, you will begin a path of self-improvement, better health and the peace of mind gained by knowing you are involved in a process that will give you personal and lasting satisfaction. Along with your continued practice, you will become proficient in a style of self-defense that is unparalleled in modern society.Authentic Tang Soo Do is not a sport; it is an art form. In Tang Soo Do everyone is a winner because the stated goals are self-improvement and the enhancement of the mental and physical self. This in not to say that authentic tang soo do practitioners do not compete to display their abilities. In fact, many national and world champions have been tang soo do stylists, but their goal in competition is more than likely to gain a learning experience, validate their training or to represent their traditional martial art.Age or gender are not reasons to refrain beginning a traditional martial arts program. The benefits you receive will make a noticeable difference in your life. In the early spring of 1984, the International Tang Soo Do Federation™ was founded by Choong Jae Nim Master Chun Sik Kim. The goal in the formation of the International Tang Soo Do Federation™ was to maintain the high standards of authentic Tang Soo Do. Teaching this martial art in its original form gave much needed roots to many thousands of Tang Soo Do practitioners world-wide. To achieve this goal, Choong Jae Nim Master Chun Sik Kim has dedicated a lifetime of training to create a standardization of instruction. With unending dedication, time and patience, Choong Jae Nim Master Chun Sik Kim has brought the peace and harmony of authentic Tang Soo Do into the lives of thousands of practitioners. As a martial artist, you will receive many benefits from associating with the International Tang Soo Do Federation™. The International Tang Soo Do Federation™ is an organization of martial artists who believe in the preservation of traditional values and standards. As President and Founder of the International Tang Soo Do Federation™, Choong Jae Nim Master Chun Sik Kim has appointed a Board of Directors to assist him in achieving his goals and in maintaining the standards of excellence set forth by the Federation and its leadership. 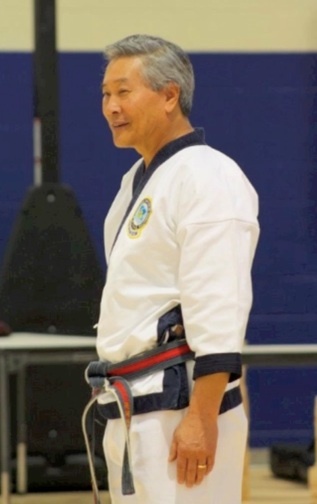 Each member Choong Jae Nim Master Chun Sik Kim has appointed is a Master of superb technical ability with a deep spiritual commitment to the preservation of authentic Tang Soo Do. A Central Headquarters has been established in Monroeville, Pennsylvania and all Instructors and students are encouraged to visit and enjoy the opportunity to train and learn under Choong Jae Nim Master Chun Sik Kim. The International Tang Soo Do Federation™ has instituted a program of guidelines and standardization to maximize the benefits for all practitioners. This standardization includes not only the technical aspects of Tang Soo Do, but also the methods of instruction as applied by each International Tang Soo Do Federation™ registered and certified Kyo Sa (instructor) world-wide! Standardization and consistency allow students the ease of training at any International Tang Soo Do Federation™ Do Jang while visiting other regions or cities. This also ensures that, for generations to come, Tang Soo Do will continue to be taught in its original form. The International Tang Soo Do Federation™ has utilized several avenues of media to assist in maintaining standardization of training and instruction. Choong Jae Nim Master Chun Sik Kim has produced a series of six Video Tapes, highly educational, and recommended to all Tang Soo Do practitioners. These video tapes cover Basic Techniques, One-step Sparring, Breaking and Hyung. The International Tang Soo Do Federation™ also produces a newsletter, “The Tang Soo Times,” in which History, Philosophy and Technical information are discussed. Coverage of current events such as seminars, tournaments and tests are also included. Articles are submitted by senior instructors and students. Consistency of training and instruction is established through technical clinics, tournaments and business seminars that are held periodically throughout the World. Choong Jae Nim Master Chun Sik Kim takes great joy in attending and instructing these events personally, along with senior Master Instructors and members of the Technical Advisory Committee. Choong Jae Nim Master Chun Sik Kim has established guidelines for each member school and Instructor within the International Tang Soo Do Federation™ . Each International Tang Soo Do Federation™ member Do Jang is inspected periodically, and all Senior Instructors must be certified as a Kyo Sa(Instructor) by the International Tang Soo Do Federation™ Testing Board. All Chief Instructors, Assistant Instructors and Black Belts are required to recertify their rank twice annually. Recertification tests are conducted in conjunction with Black Belt Promotional Tests held each spring and fall. The primary consideration of this procedure is to ensure standardization of training and to develop exceptional quality instructors. Quite possibly, the greatest benefit you may realize as an International Tang Soo Do Federation™ member, is the firmly rooted technical and philosophical lineage inherited from the thousands of years of history which created and defined the art as we practice it today. This is not just our hope, but our responsibility. The International Tang Soo Do Federation™ is a registered trademark and cannot be used without permission and a signed authorization from our attorney. Please contact Choong Jae Nim Master Chun Sik Kim for additional information.